In the past, we have talked about 3D printed artificial organs, a concept whose main application is in transplant cases. 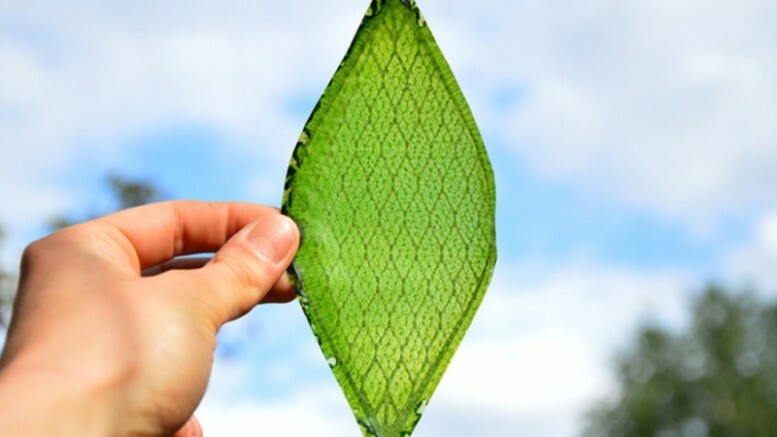 But how about a synthetically-produced, fully-functioning biological leaf? Sounds too good to be true? Well then, brace yourself. 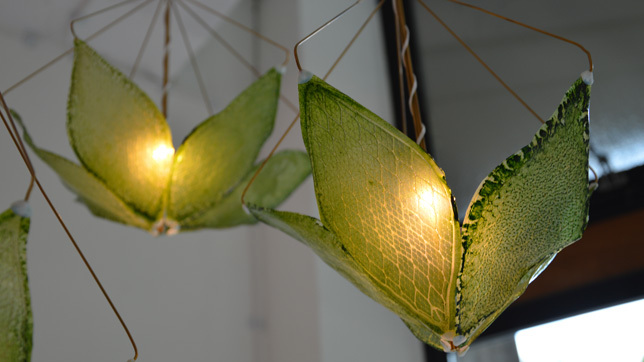 Royal College of Art graduate Julian Melchiorri, in association with Tufts University’s silk lab, has built what he aptly calls the Silk Leaf, a project that is part of RCA’s ‘Innovation Design Engineering’ course. 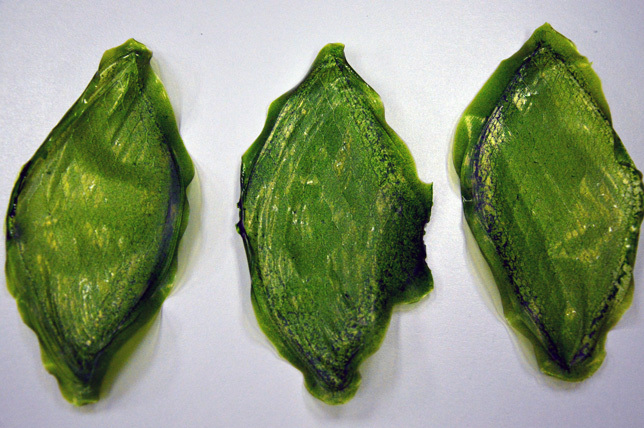 It is the “first man-made biological leaf”, which like its animate counterparts, is capable of photosynthesis. 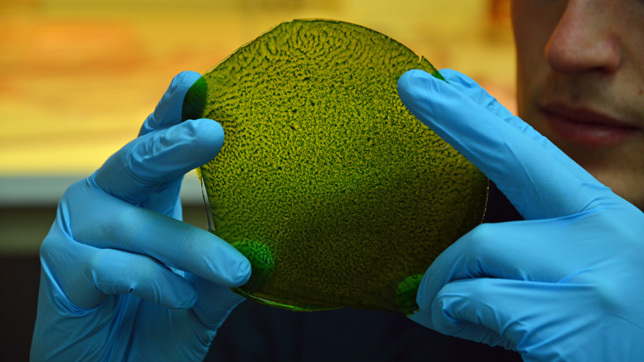 The Silk Leaf is a specially-engineered elliptical leaf-like structure, in which organic chloroplasts are held together in a complex matrix of silk protein. 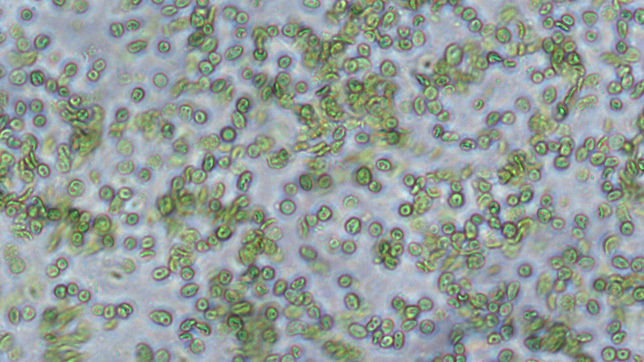 The chloroplasts are obtained directly from plant cells, and then put in a cytoplasm-like matter made from disintegrated silk protein. The basic material of the leaf is crafted using extracted silk fibres, with the end product looking like a thin membrane of green algae. Due to the presence of chloroplasts, the lightweight synthetic leaf can produce oxygen in exchange of carbon dioxide and water. The whole process takes place in the presence of light, be it sunlight or even the light of a bulb. Plants don’t grow in zero gravity….NASA is researching different ways to produce oxygen for long-distance space journeys to let us live in space. This material could allow us to explore space much further than we can now. The UK-based inventor has also designed a batch of eco-friendly lighting from the same material, that can be utilized in houses and buildings to provide fresher and more oxygen-rich air for us. 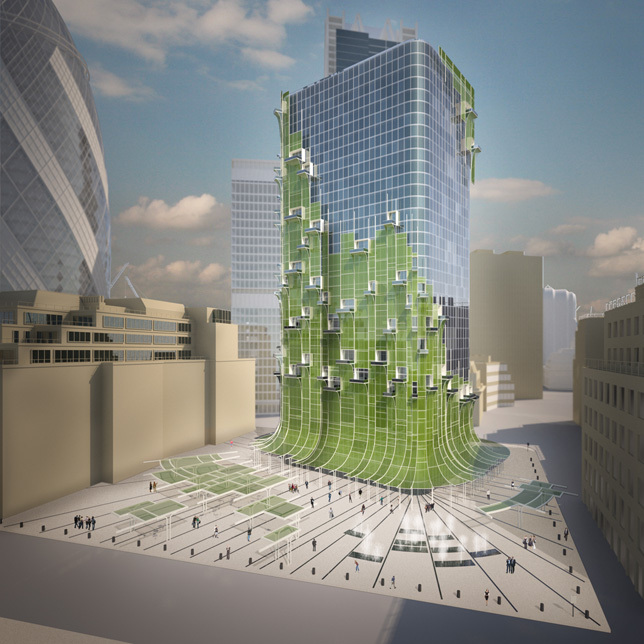 Melchiorri believes that his creation can also be used to develop low-pollution biological air filters and ventilation systems, at a much larger level.